RESPIRATORY CASE REPORTS journal is a web based electronic journal which publishes educational and interesting case reports in the expertise areas of chest diseases and thoracic surgery. It is published three issues per year in February, June and October. Objective of the journal is to publish interesting original case reports and series in respiratory system. To this end; case reports, case series and letter to the editor are published. The presentations are available as full text at www.respircase.com. The publishing language of journal is Turkish and English. Manuscripts submitted for publication should be neither published in any journal before nor submitted simultaneously to another journal. Presentations at congresses, symposiums and scientific meetings declaring the date and the place may be published. This journal accepts manuscripts which conform to the ethical rules stated by Declaration of Helsinki (http://www.wma.net). Manuscripts submitted for publication must strictly conform to the writing rules. The editors and the editorial board members have the right not to publish the manuscripts, send back to aouthors to be amended, edit their form or reject the manuscripts not conforming to publication requirements. Authors have the scientific and legal responsibility of the manuscripts. All publishing rights of manuscripts accepted to be published belong to Respiratory Case Reports journal. Published manuscripts and all visual materials cannot be copied or presented without written consent of the editors. Manuscripts are accepted in electronic environment. Manuscripts are sent as “Word” documents (e.g. .doc, .docx, .rtf, etc.). Visual materials (figures and photographs) are sent as (e.g. .JPEG, .TIFF, .GIF, etc.) Bitmap images with a quality of 300 dpi resolution at least. “Times New Roman” or “Arial” with double line spacing and 10 or 12 font size should be used appropriate space on all margins of the page. Page numbers should be at the bottom right of each page. Abbreviations used in the text must be written in full when used for the first time and abbreviations should not be used at the heading of the article or in the summary sections. Measurements should be in SI (System International) units. Title page should have the title of the manuscript both in Turkish and English, full names of authors with the first letters in capital, their current academic titles and institutions they work at. Authors should be numbered in Arabic letters as a header according to the institutions they work at. Name, last name, correspondence address, e-mail address, telephone and fax number of the corresponding author should be included. If the case report has been presented at a meeting, name, date and place of the meeting should be stated at the bottom of this page. Summary of the manuscript must be written with Turkish “ÖZET” and English “ABSTRACT” headings. Summary should not exceed 150 words. English title should be written on the title page. Turkish and English keywords under the summary section minimum 3 and maximum 6. Keywords should be chosen from Medical Subject Headings (MeSH) (http://www.nlm.nih.gov/mesh/MBrowser.html) and Türkiye Bilimler Terimleri (http://www.bilimterimleri.com). Table, figure, pictures and all other visual materials should be presented with Arabic numbers. Legends of figures and pictures should be written at the end of the main text on a separate page with Arabic numbers with double line spacing. Symbols, arrows and letters used in photographs should for a contrast with the background. Diagnosis display photographs should be in high quality. Pathological preparations should include dying method, magnification scale and brief explanation. Care must be taken in order to make sure that patient cannot be recognized. For example, masking the eye region in photographs of patients is inadequate protection of anonymity. Name of patient and health care institution should not be read on radiological imagines. References should be listed in order and they should be placed in brackets ( ) before the punctuation mark where the information is first mentioned. When two successive references are used, only the first and the last reference numbers should be shown by placing “-” sign in between [Example; (3-5)]. If the reference has DOI number, it should add in the end. Kartaloglu Z, Okutan O, Bozkanat E, Ugan HM, Ilvan A.The course of serum adenosine deaminase levels in patients with pulmonary tuberculosis. Med Sci Monit 2006;12:476-80. West JB. Respiratory Physiology: The Essentials. 8th ed. Philadelphia: Lippincott Williams & Wilkins, a Wolters Kluwer business; 2008. Redlins S, Tishler PV. Familial influences on sleep apnea. In: Saunders NA, Sullivan CE, eds. Sleep and breathing. 2nd ed. NewYork: Marcel Dekker; 1994:363-7. Bakýr S, Çeliksöz A, Çelik VK, Sari Ý, Aydýn H. Antioxidant-oxidant status in patients with hydatid cyst. Turk J Biochem 2012; 37 (1): 29-34. Available at: http://www.turkjbiochem.com/2012/029-034.pdf. Republic of Turkey Ministry of Health. Access date: 16 April 2012. 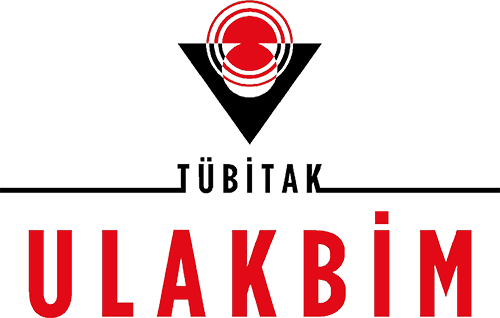 Place of access:http://saglik.gov.tr. Ayten O. Diagnostic value of Angiopoietin 2 levels in serum and bronchial lavage fluids and relation with cancer stage in the patients with lung cancer (Thesis). Istanbul: GATA Haydarpasa Training Hospital; 2010. All received papers will first be evaluated by the editorial board through “peer review” system in electronic environment; later the papers will be sent to advisory board members. Manuscripts deemed appropriate for the journal are sent to three reviewers by double-blinded. If needed, some questions can be asked to the authors to answer; or some defaults may have to be corrected by the authors. Accepted manuscripts will be forwarded for publication; in this stage, all information and data are checked and controlled properly; the proof of the article to be published by the journal are forwarded to the writers for proof reading and corrections.The result can be acceptance, minor revision, major revision, rejection in the current form, or rejection. The Editorial Office has in use a web-based software programme which compares documents and marks found similarities as a possible instance of plagiarism. If an ethical problem is detected, the editorial office will act according to the COPE guidelines. Scientific contribution and responsibilities, any financial or other conflict of interest should be mentioned. Corresponding author should include the names of the authors who contributed to the preparation of the study and the manuscript and send to publisher after signing the form. When reporting experiments on human subjects, authors should indicate whether the procedures followed were in accordance with the ethical standards of the responsible committee on human experimentation (institutional and national) and with the Helsinki Declaration of 1975, as revised in 2000 and 2008. When reporting experiments on animals, authors should be asked to indicate whether the institutional and national guide for the care and use of laboratory animals was followed. Please print out the form (Author Contribution & Statement of Human and Animal Rights Form) fill in the details about the article and sent to editorial office by fax or electronic submitting system after signing the form. Patients have a right to privacy that should not be infringed without informed consent. Identifying information, including patients' names, initials, or hospital numbers, should not be published in written descriptions, photographs, and pedigrees unless the information is essential for scientific purposes and the patient (or parent or guardian) gives written informed consent for publication. Informed consent for this purpose requires that a patient who is identifiable be shown the manuscript to be published. Authors should identify Individuals who provide writing assistance and disclose the funding source for this assistance. Identifying details should be omitted if they are not essential. Please print out the form (Statement of Informed Consent Form), fill in the details about the article, ask the patient or next of kin to sign the form, and ent to editorial office by fax or electronic submitting system after signing the form. Authors should also state that there is no conflict of interest with any financial organization regarding the material discussed in the manuscript. Transfer of copyright form which is signed by all authors must be sent for accepted manuscripts. Please print out the form (Conflict of Interest & Transfer of copyright form), fill in the details about the article and sent to editorial office by fax or electronic submitting system after signing the form. Proofs sent for correction or revision to authors has to be resubmitted to editorial office in 2 or 3 days time. The editorial office will reformat the manuscript appropriate to journal. Manuscripts can be reached from the web page of journal without any fees. Not any fee is required for article processing (APCs) or submission for manuscripts. 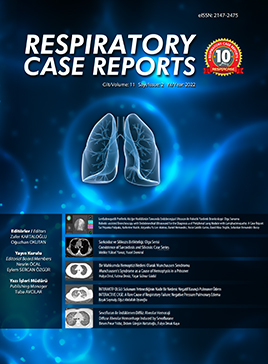 Respiratory Case Reports is fully open access journals, which means that all articles are available on the internet to all users immediately upon publication. Non-commercial use and distribution in any medium is permitted, provided the author and the journal are properly credited.